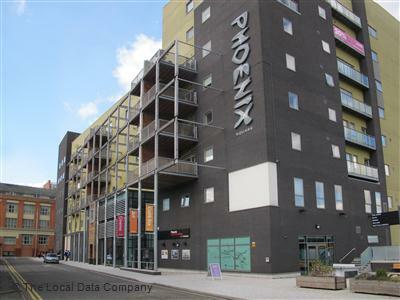 The Phoenix is situated in the Cultural Quarter in Leicester. Box office on: 0116 242 2800. There is a council-run pay and display car park next to Phoenix. Parking costs £1 for 1hr, £3 up to 3hrs, £4 up to 4hrs. Longer stays cost significantly more. Evening parking costs £2, from 6pm – 6am. On Sundays and bank holidays there is a £1 charge and a maximum stay of 4hrs. Please check notices in the car park for more details.